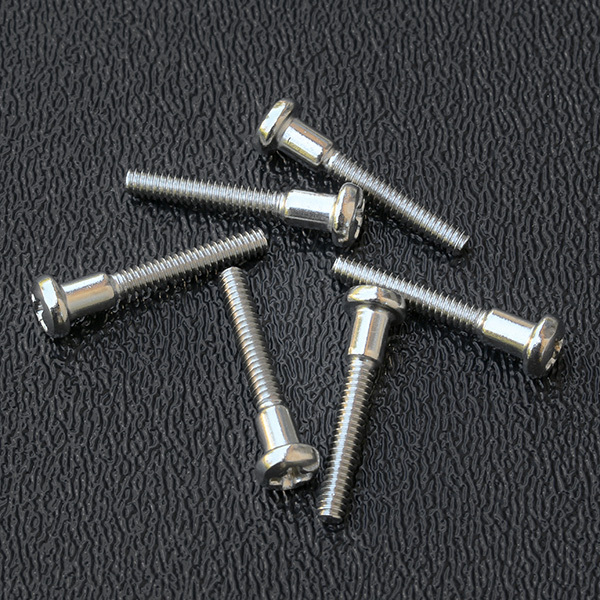 Set of 6 genuine Fender special pickup mounting screws for N3, N4 or SCN pickups that use a #4-40 mounting but require a #6 Philips round head for the mounting hole size in the pickguard. These are the standard mounting screw type used on N3, N4 and SCN pickups. Threading Size: #4-40 x 13/16"
Head Type: #6 Phillips round head.